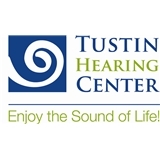 Tustin Hearing Center (Tustin) - Book Appointment Online! Tustin Hearing Center was established more than 29 years ago. Since it's founding, we have served over 20,000 patients in the Orange County area, helping them hear better, reconnect with family and loved ones, and regain the confidence they've been missing as a result of hearing loss. I felt that Janelle Reid, Aud. was thorough in her exam of me and a great deal of time was spent with me to make sure I understood my hearing problems.